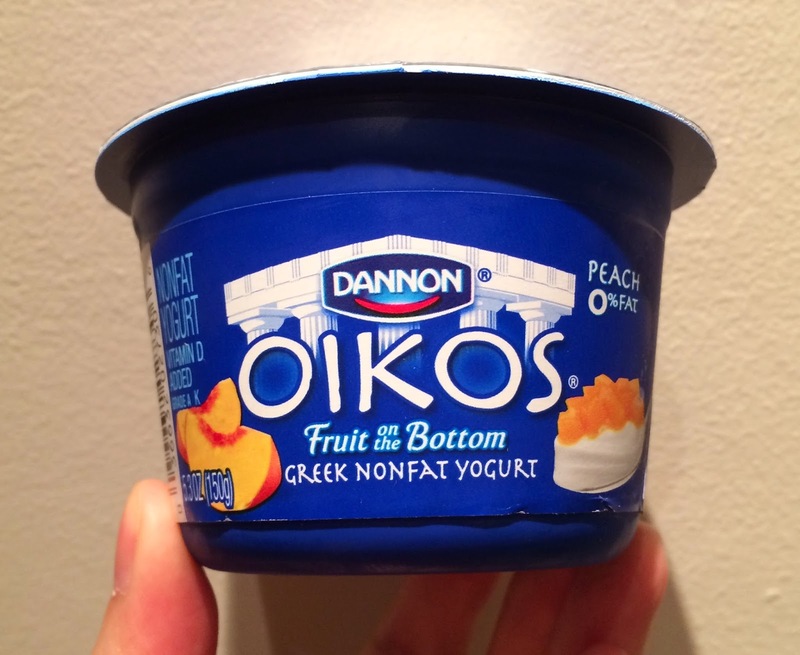 I tried another Dannon Oikos Greek Nonfat Yogurt, and the flavor is peach. 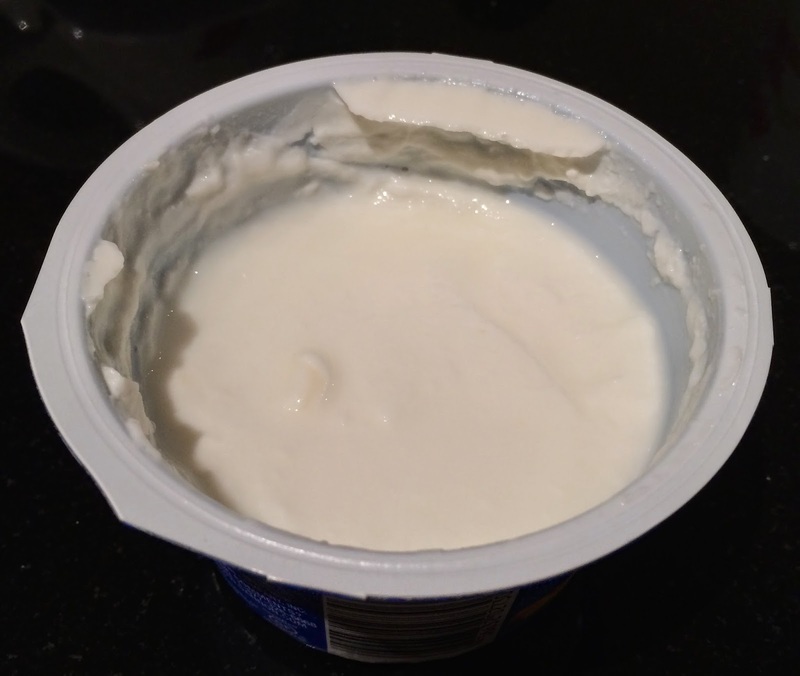 The website shows many flavors but I only saw peach and blueberry at CVS nearby, and Duane Reade didn't even have Oikos at all but only a lot of Chobani instead. Peach and peach sauce on the bottom were bright orange with sweet scent. 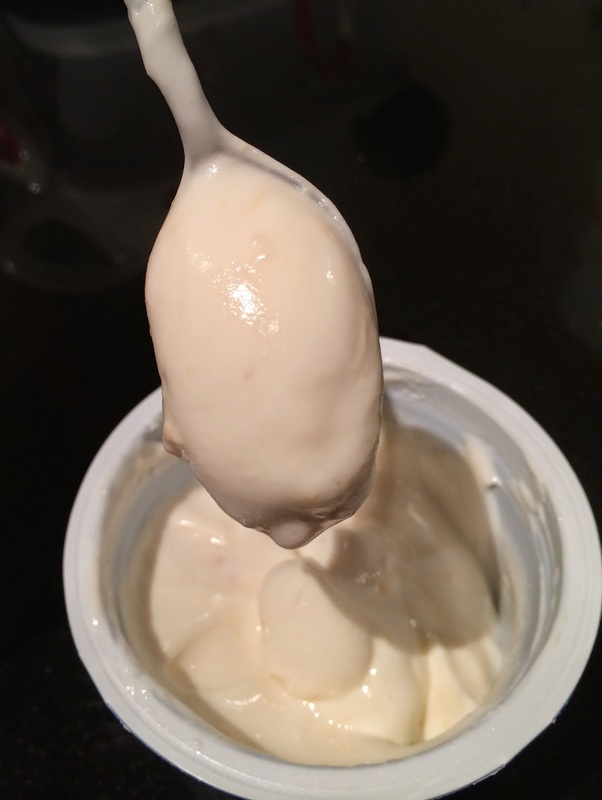 After mixing them all together, it became cream color. 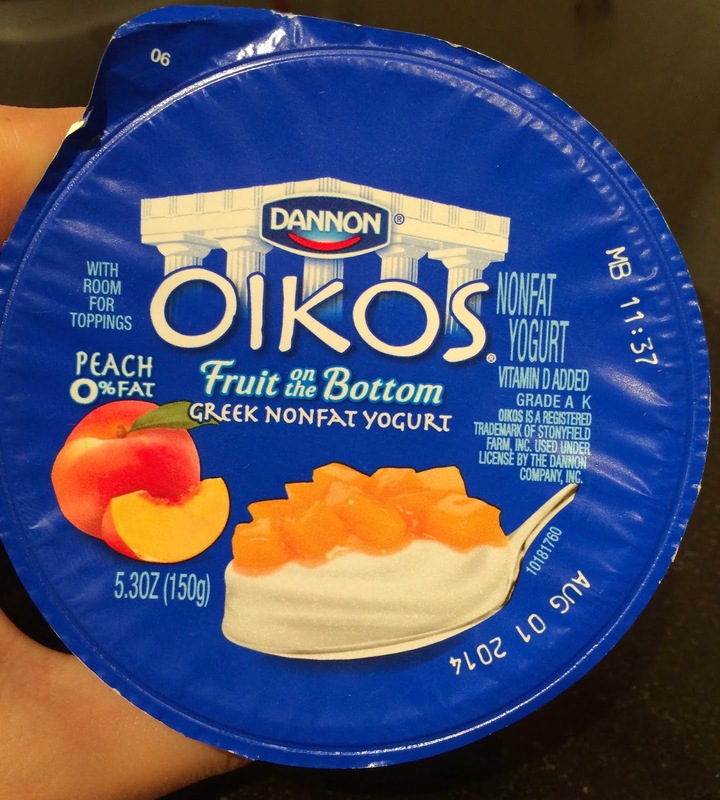 The thick texture was the same as other greek yogurts, and the peaches and peach sauce were sweet so that sourness from the Greek yogurt went well with it. 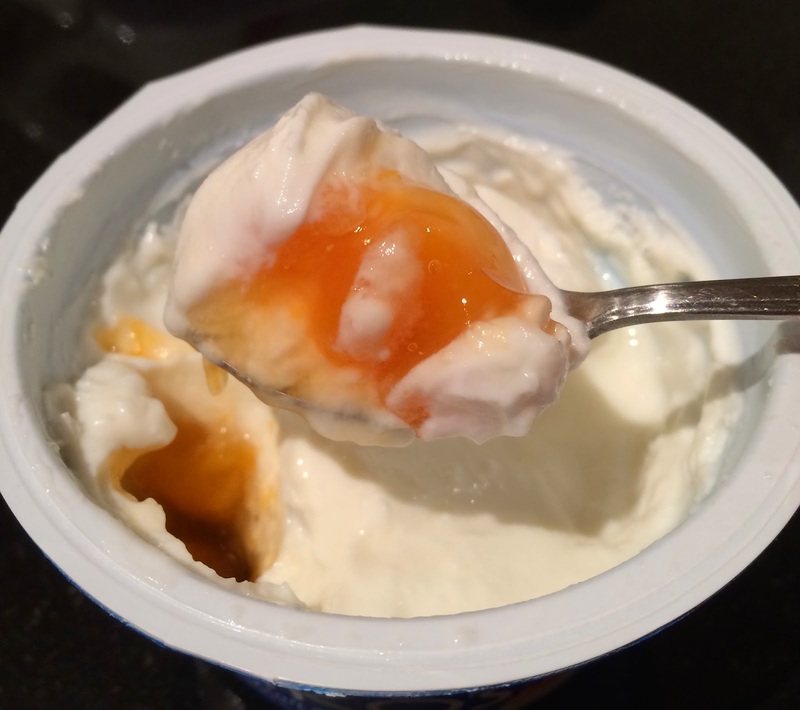 Peaches on the bottom were larger than I thought and it's a good accent to the smooth yogurt. I liked peach better than blueberry because somehow it's more refreshing.